-You define security roles. Roles define access for groups of users. -You place users in a security role by assigning out a role for each person. What can you define in a role? -All the menu options that will be visible for that role. -All the special rights that the role will have access to (i.e. 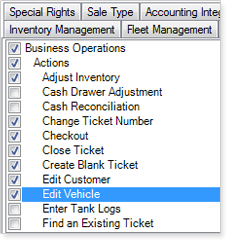 Adjusting Inventory, Accepting Cash, Voiding Tickets, and more). -All the data available within entry grids and viewing grids. We at eGenuity believe in using the latest technologies. Included with this concept is Biometrics. 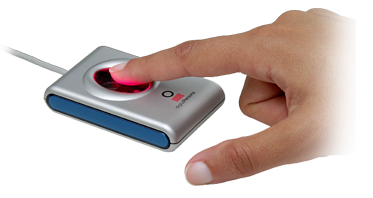 Biometrics uses a physical aspect of a person's body to determine for sure that the person is who you think he/she is. An eye, a handprint, or a fingerprint might be used. By using this type of security, people cannot share passwords and "log in" for each other. Now store owners can purchase a very robust, user-friendly system for fractions of what it has cost for years. We feel that our software has the perfect combination of PRICE and POWER, and that is why we are the fastest growing software company in the industry.